Co-designed programming language that Python is based on. One of the speakers at Boris's first TNW conference. "Copied by E. Grosser, Esqr, from an Ancient Drawing said to have been made by LIVENS, a Disciple of Rembrant. London Pub May 1790, by E. Harding, No 132 Fleet Street". Might this be true? 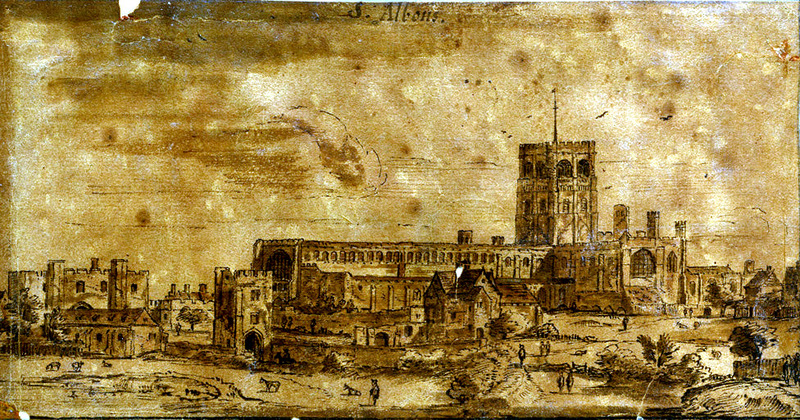 Lievens was in England in the 1630's. Printed on that press. 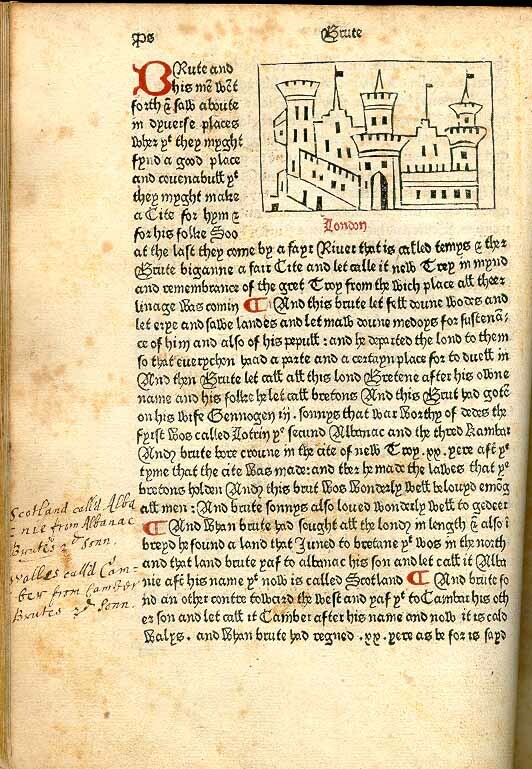 Note how it imitates a manuscript. Until the introduction of printing, books were rare, and very, very expensive, maybe something like the same price as a small farm. Only very rich people, and rich institutions, owned books. 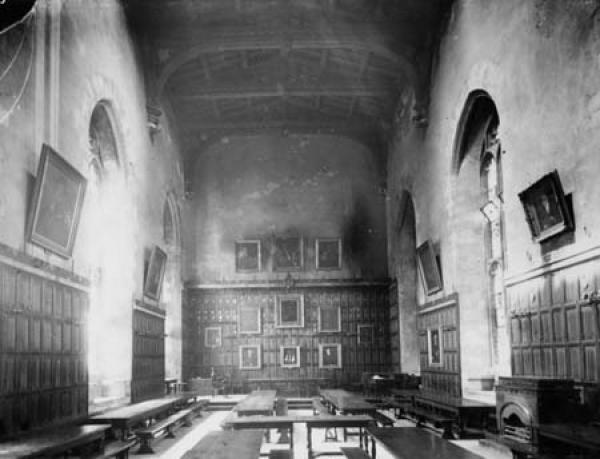 The first Universities were set up before printing, and if you were a student, the price for borrowing a book was copying it. Usually book lenders only lent you part of the book at a time, to speed up the copying. 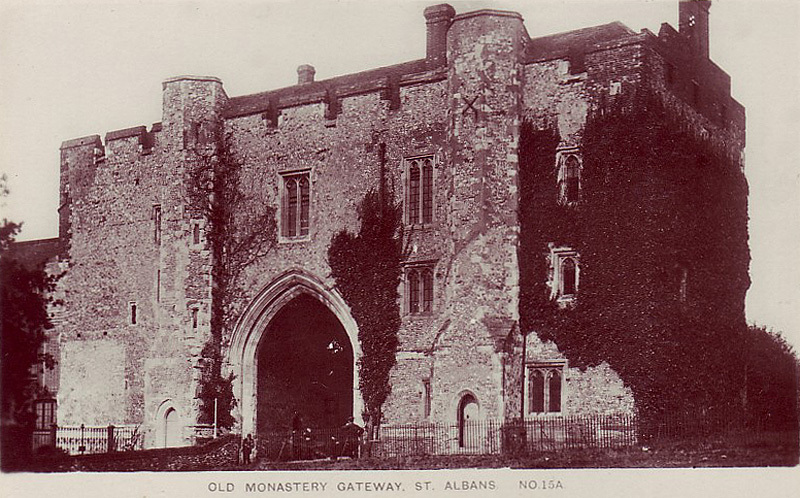 The other producers of books were the monasteries. 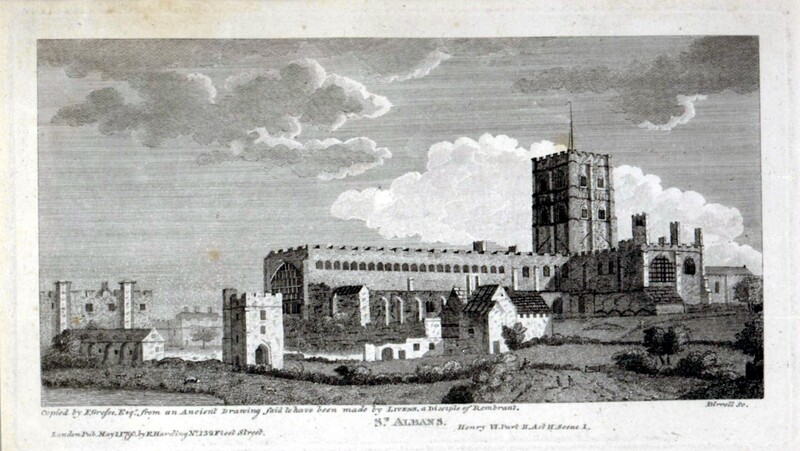 "When the Anglo-Saxon Monkwearmouth-Jarrow Abbey planned to create three copies of the bible in 692—of which one survives—the first step necessary was to plan to breed the cattle to supply the 1,600 calves to give the skin for the vellum required." Writing is excessive drudgery. It crooks your back, it dims your sight, it twists your stomach, and your sides. St Patrick of Armagh, deliver me from writing. As the harbour is welcome to the sailor, so is the last line to the scribe. Now I've written the whole thing: for Christ's sake give me a drink. 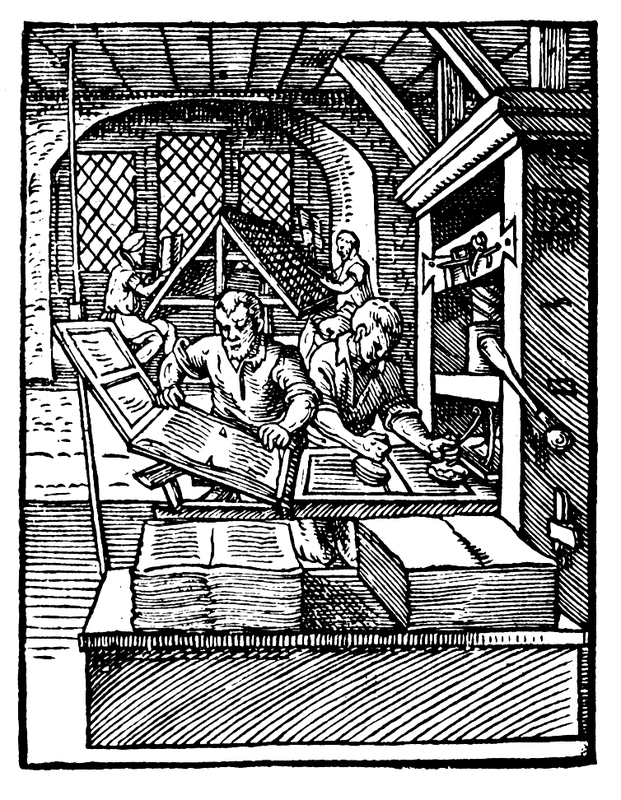 Gutenberg brought known technologies together (just like the web did): ink, paper, wine presses, movable type. By 1500 there were 1000 printing shops in Europe, which had produced 35,000 titles and 20 million copies. Price of books greatly diminished (First bible 300 florins, about 3 years wages for a clerk). Books became a new means of distribution of information. It was a paradigm shift - new industries, bookshops, newspapers. Many ascribe the enlightenment to the availability of books. 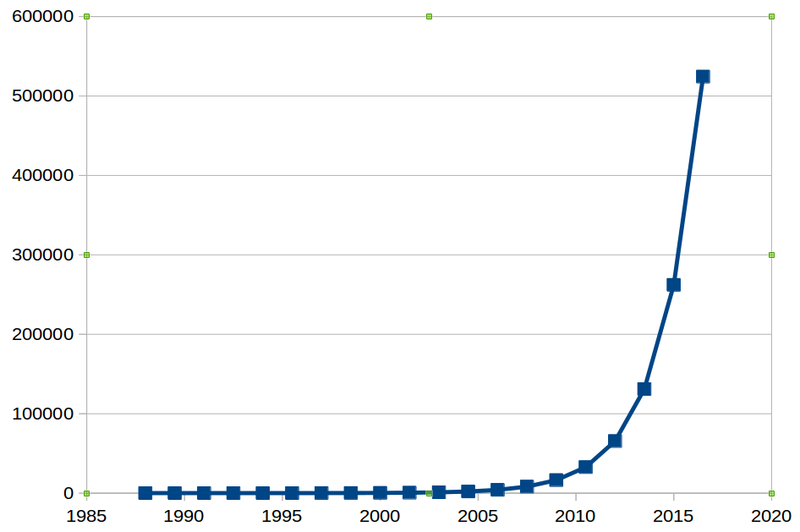 From then on the number of scientific journals doubled every 15 years, right into the 20th century. Even as late as the 1970's if you had said "there has to come a new way of distributing information to support this growth", they would have thought you crazy, more likely expecting the growth to end. 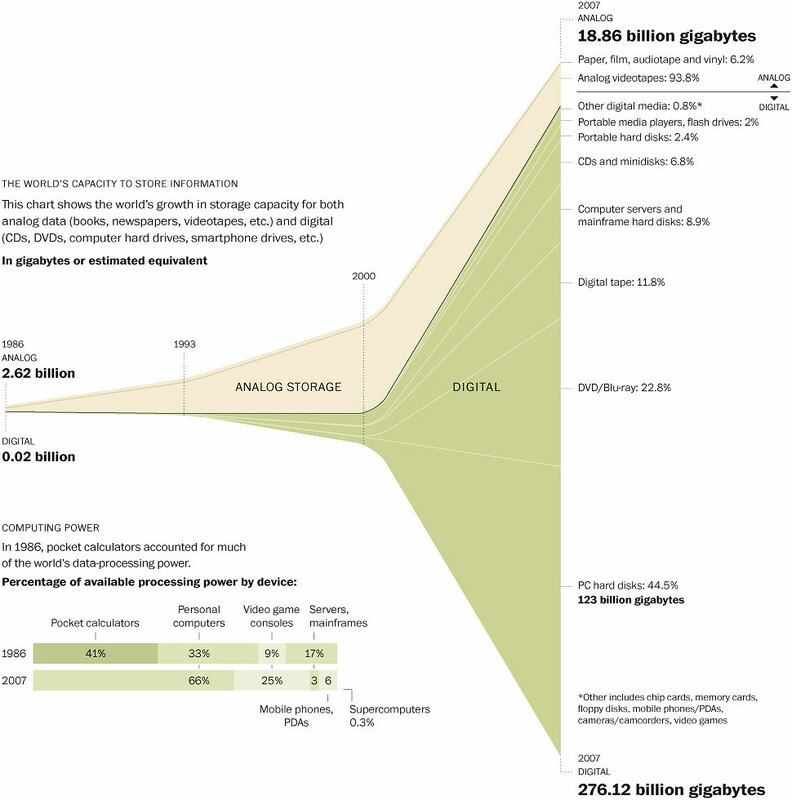 But now that we have the internet, the amount of information produced continues to increase at an exponential rate (doubling every three years according to one report, every 11 hours according to a newer one). 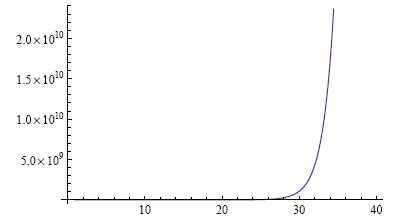 If something doubles at regular intervals, it is called an exponential growth. 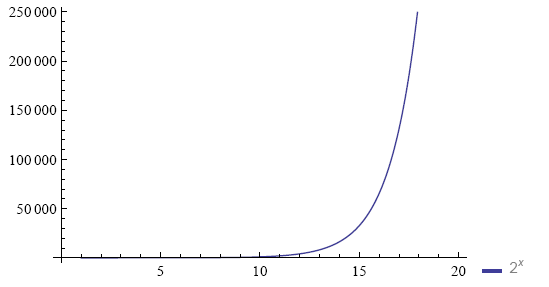 Note that a doubling per 2 years is the same as a 10 fold increase every 6 and a bit years; we call a 10-fold increase an order of magnitude change. "An order of magnitude quantitative change is a qualitative change"
Note how there now seems to be nearly no action before iteration 26. The 'knee' is a fiction, a visual effect of the scaling used. In 1965 Gordon Moore predicted that integrated circuits would double in power each year at constant price 'for at least 10 years'. In 1975 he adjusted that to a doubling every 18 months. 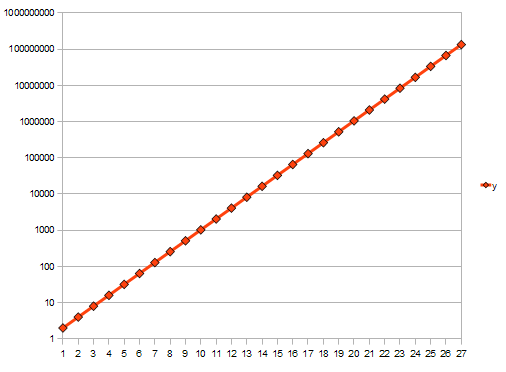 That's an order of magnitude increase every 5 years. Moore's Law last April turned 50 years old. 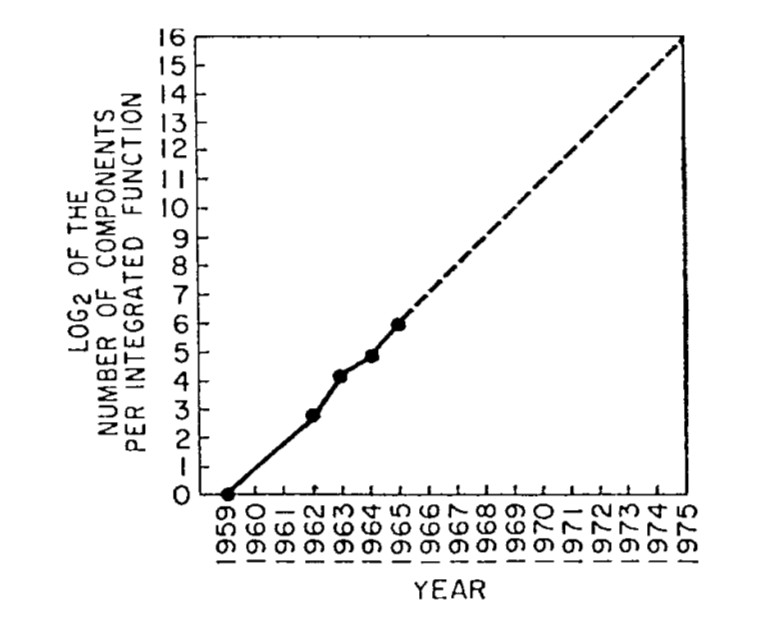 Or less prosaically: Moore's Law became 33⅓ iterations of itself old. Moore's Law, a doubling every 18 months, which is 59% annual interest, if you are interested, or about 4% per month. 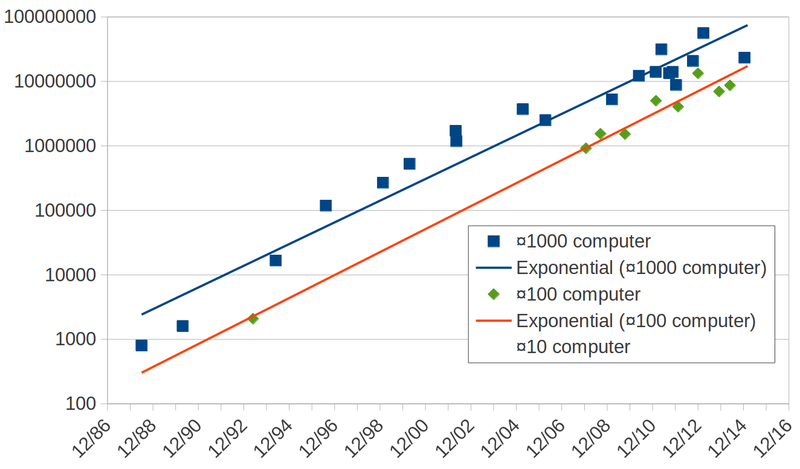 In other words, a computer now is approaching 500 000 times more powerful than in 1988. Or put another way, each day you are getting 6500 computers from 1988 extra. Of course, computers don't get exactly twice as powerful in exactly 18 months. 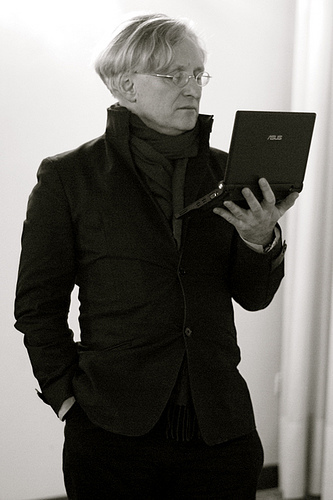 But I have been collecting data on the power of my computers since 1988. In 1988 my laptop had a power of 800. My present one has a power of more than 25M. That is 15doublings! 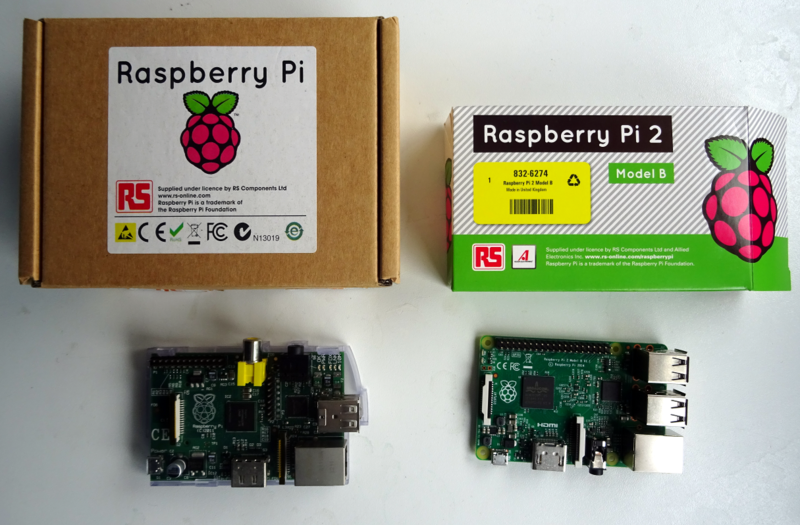 As an excellent example, in February last year, almost exactly three years after the announcement of the first version, version 2 of the Raspberry Pi computer was announced. Six years later, the cheapest 4GB stick cost €2.99. Screens are subject to similar drops too. This demonstrates that your current computer is more powerful than all other computers you have had put together (and way more powerful than the computer they had on board the first moonshot). The internet was a cooperative effort. In 1988 arrived in Europe (Amsterdam actually): speed 64kbps connection for the whole of Europe to the whole of America. A year later that doubled to 128kb. 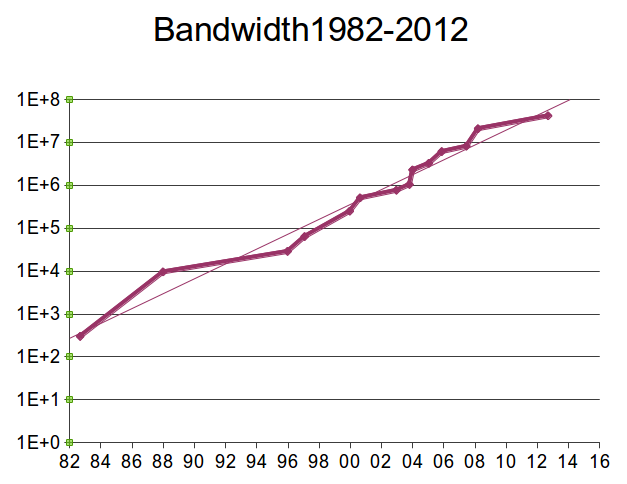 Even better than Moore's Law: bandwidth doubles PER YEAR! Amsterdam was 64KB/s in 1988, and now 4.7TB/s = 95% yearly growth over 27 years. In 1988, phoning long-distance was expensive, and the further you phoned, the more expensive it was. People considered it reasonable, because it matched their expectations. In fact, the expensive part is the local loop: only one person (you) is using that. The long-distance part can be amortised over 1000's of calls. 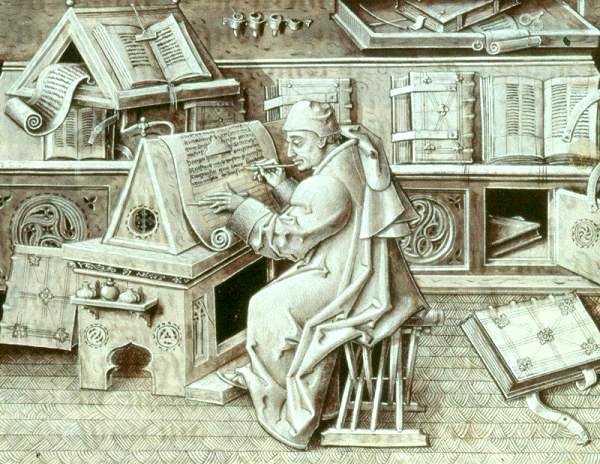 Just like Gutenberg with the printing press, they brought together many existing technologies (Hypertext, the internet, MIME types) and created a cohesive whole. And frankly, the Web is replacing the Book (along with many other things). Telephone directories, encyclopaedias, train timetables, other reference works are already gone. Most others will follow. Books (as an artefact) are about to become a niche market. All information will be web-based. That is why it is of utmost importance that we plan properly. Typically people expect that we will use new technologies in the same way we use existing ones. Steam engines in factories: there was one engine, with lots of pulleys to distribute the power over the factory. It was assumed that the same would happen with electric engines: one engine in the house with pulleys taking the power to where you needed it. Same with mainframe computers: it was assumed 5 would be enough. Why would people want personal computers? They don't need to do payrolls! The first books looked like manuscripts. The first cars looked like carriages. 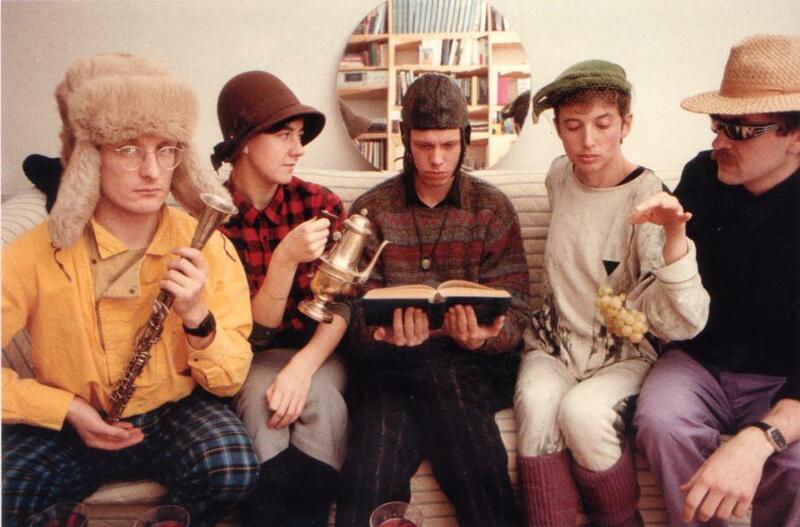 First radio was like plays, actors still had to dress up. And the Web is (still) imitating old media. Authoring is too hard - needs programming skills. Despite the use of style-sheets, the current web is almost completely visually-oriented. This locks the content into one particular representation, and makes it hard to repurpose. What we need is a web that is primarily content-oriented, with a final phase of presentation; only in that way can content be repurposed in the same way that data can be. Design for the web should be like design for a house style: it has a general style that the content can flow into. We don't want to have to produce copies of our websites for each new type of platform or device. There needs to be a generic method of repurposing content to the formfactor of the device accessing it. Even when we are 80, we will still want and need to use the web. There won't be an alternative! How can we make our 30-year-old selves sensitive to the problem of our less-abled future selves? With the coming of HTML5, the web has stopped being about documents, and started being about programs. Now only programmers can produce modern web pages. HTTP, the protocol used for serving Web pages, has served us well for the last 20 years, but is beginning to show its age: it has become a single-point-of-failure for content. Data doesn't need to be human-readable; in fact it must be machine-readable. If there is data, make it available! (Amsterdam fireservice has trouble finding out where there are roadworks). Internet everywhere, lights, oven, your alarm clock: internet over the electric net, so that anything that plugs in can have a connection. True costs - like the internet showed with long distance calls, so we will learn the true cost of content. A lot of existing information is distributed by people who have concentrations of the means of distribution, and in fact that is the real reason they exist. Music industry is healthy, record industry is not. A change in the means of distribution. A change in the availability of information. The end of the hit. So what are we doing for the year 2500? The web is now over 25 years old, but still in its infancy. Books printed 100 years ago are still readable, and available in many cases. Will we still be able to read and access websites made today in 100 years time? Or will all our content be lost to future ages? What is needed to make the web age-tolerant? What do we want from the web in both the short and long term? Make no mistake: we are at a turning point in history. The internet is going to have as great an effect on society as the book did, only much quicker. Newspapers, music industry, books in trouble? Pah! Nothing. Just wait! The means of distribution are changing hands.